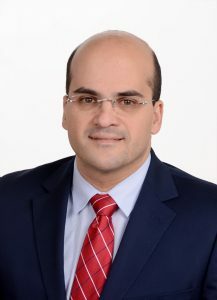 Dr. Abu Dayyeh is Associate Professor of Medicine, Director of the Bariatric and Metabolic Endoscopy program, and Consultant in Gastroenterology and Advanced Therapeutic endoscopy at the Mayo Clinic in Rochester, Minnesota, USA. His research focuses on the development of minimally invasive interventions for the endoscopic management of obesity and metabolic disease. Dr. Abu Dayyeh has published more than 100 peer reviewed articles, reviews and book chapters in the field. His work has been cited on more than one thousand times. He has received multiple awards and grants in support of his research and has been invited to give more than 80 national and international keynote lectures. He serves as a consultant and advisor to multiple leading US and international companies who are developing novel therapeutics for obesity and metabolic disease.